Darrell Bock makes an important observation concerning this “council.” He suggests it ought to be called a consultation rather than a council since it is not like the later “church councils” which decided doctrine for the church (Nicea, for example). This is true, although I think Bock does not take this far enough. Paul does not submit his Gospel to the elders at Jerusalem and he certainly is not requesting permission to waive the requirements of the Law for Gentiles. Nor is he described as arguing his case or reaching a compromise with the apostolic community in Jerusalem. As Paul and Barnabas moved into Asia Minor they evangelized Gentiles who were not connected with a Synagogue. These are not God-fearing Gentiles like Cornelius. Paul was expanding his mission into areas (geographically and culturally) the Jerusalem church would not have naturally considered as their “mission field.” As Gentiles accepted Christ and began to fellowship with ethnic Jews, some problems arose primarily concerning the Gentiles not keeping of the Law. These teachers are sometimes called “the Judaizers” since they were interested in converted the Gentiles to a form of Second Temple Judaism. The core of the problem is that up until Paul, Christianity was a messianic movement within Judaism. The people accepting Christ in Jerusalem (and even Antioch) were not rejecting the Law. They remained fully “Jewish” in every sense. They maintained ritual purity as they always had, they ate only clean foods, and may have continued the practice of circumcision for converts to the faith. For many of the earliest followers of Jesus, Christianity was not a “new religion” as much as a reform movement within Judaism. 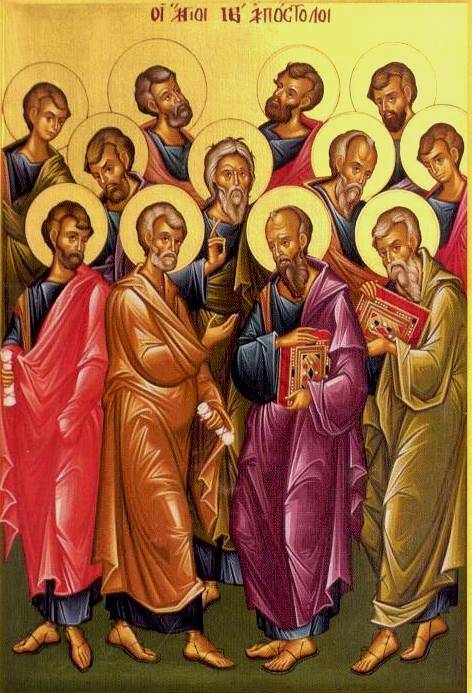 This conflict between Jewish Christians and Gentile (Pauline) Christians was the first major problem in the church Luke reports, although Gal 2 describes Paul’s conflict with Peter and Barnabas over table fellowship. It is possible Luke alludes to the the Antioch Incident in Acts 15:1-2, but this is unlikely since the main issue in Acts is circumcision of Gentile converts, not eating with Gentiles. Acts 15:1-2 says people from Jerusalem travelled to Antioch and were teaching people were not saved unless they were “circumcised according to the custom of Moses.” I will deal with the idea of “circumcision for salvation” in my next post, but at this it is enough to observe that some Jews refused to recognize Gentiles as “right with God” if they were not fully converted to Judaism, including circumcision. Is it surprising there was a serious break between some teachers in Jerusalem and Paul with respect to Gentile salvation? This is the first generation of the Church, yet there is a serious problem caused by Gentiles accepting the Jewish Messiah as savior. How deep is the rift between Paul and these teachers? Since you are dealing with Acts 15, I hope that you will discus the seeming conflict between the admonition (supported by the Holy Spirit[!] = requirement[?]) that the Gentile converts are supposed to abstain from “things sacrificed to idols” (Acts 15:28) and 1 Corinthians 8 where it seems okay (for the “strong”) not only to eat the food(!) that was offered to an idol but even to eat the food IN the temple of an idol—unless a “weak brother” sees you. IMHO the whole context of 1 Corinthians 8 seems to contradict what is admonished in Acts 15:28. Why didn’t Paul just say NO to eating ‘food offered to and idol’ based upon his agreement to the “consultation” as recorded in Acts 15:28? He seemingly “okayed” it. The answer is so simple, but so hard for us to accept, since it breaks The Great Taboo in Bible-believing Evangelical circles. Gulp…. Paul was wrong. Gasp. Choke. Paul was speaking on his own, being “Liberal” and making up his own rules as he went along to suit himself and his own personal agenda, claiming “I’m not under the law” while simultaneously making up his own new laws for others. So is Paul right, and Jesus and everyone else are wrong? I had not intended to , but since you ask I will add that to my list for upcoming posts. Thanks for the suggestion. As we can see when we read ahead a couple chapters into Acts 16-17 there is a huge rift between Paul and the Jewish teachers. They are so passionate about their beliefs in who and what the Messiah should have been that they resort often to violence often. The idea that God would extend His blessing to more than just Israel was unheard of. Throughout the existence of their religion all the way back to the patriarchs God would reach the nations through the Jews. And certainly now that would be His ideal avenue, but they were so blind to see that His plan was different than what they expected they would not be willing participants in what He has progressed to do in the world during the time Paul began to teach throughout the Roman empire.